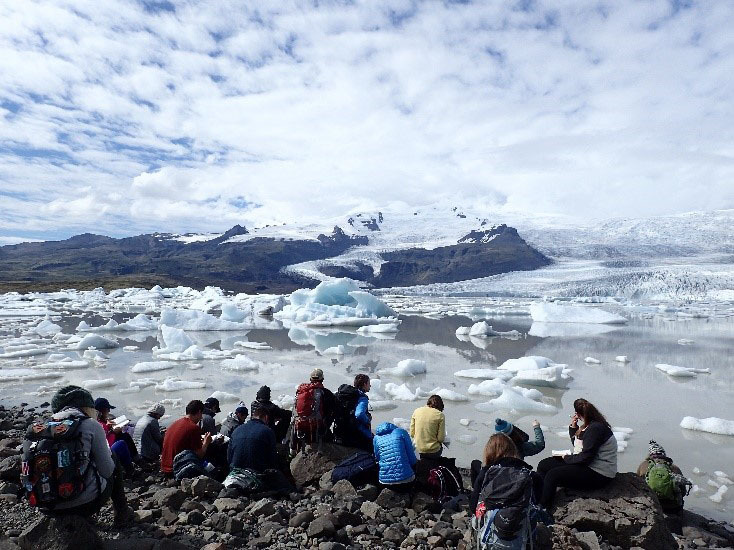 Features that make Iceland a geologist’s paradise—volcanoes, glaciers, igneous rock—also make it a powerful learning environment. 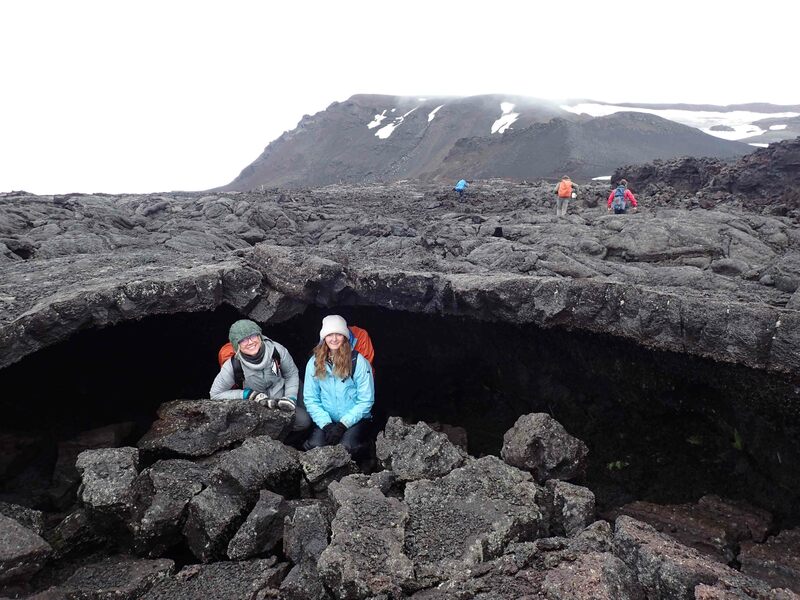 And so, in August, associate professor Lawrence Malinconico, associate professor Dave Sunderlin, and assistant professor Tamara Carley guided 24 students on an 18-day exploration of the land of fire and ice. 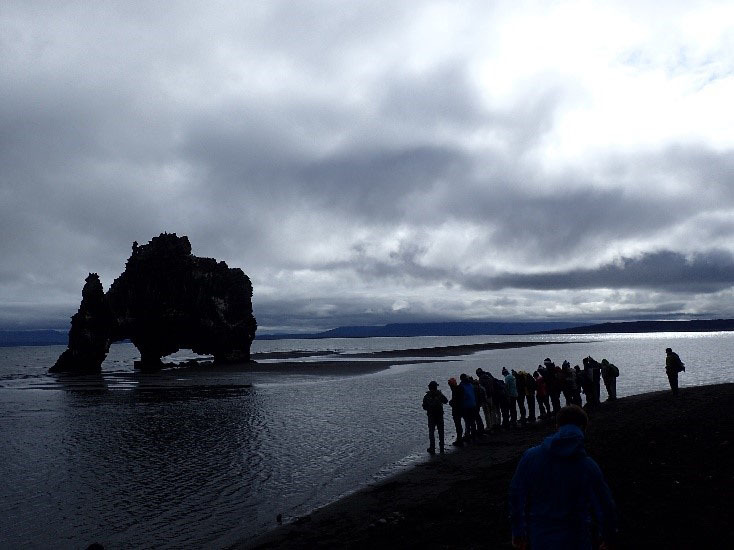 It was the department’s second Icelandic adventure, which was added to the its travel offerings in 2015. 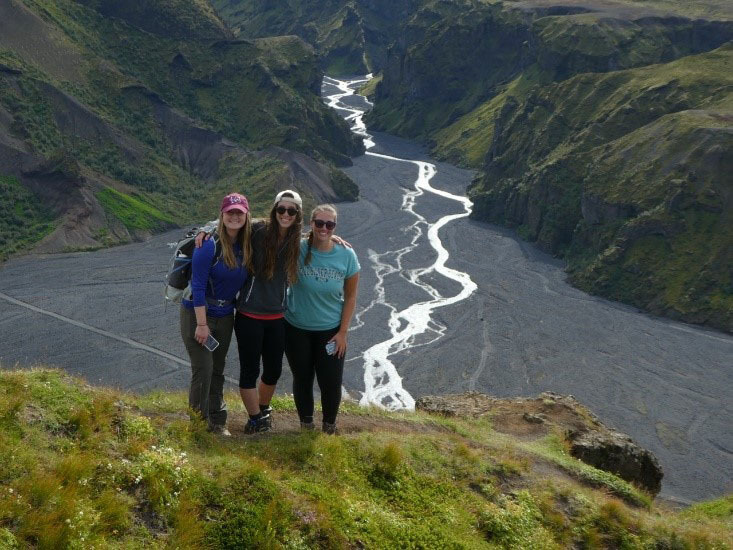 Geology professors also organize interim-session excursions to Hawaii, New Zealand, Ecuador, national parks of the southwest United States, and Wyoming to give students valuable hands-on fieldwork. 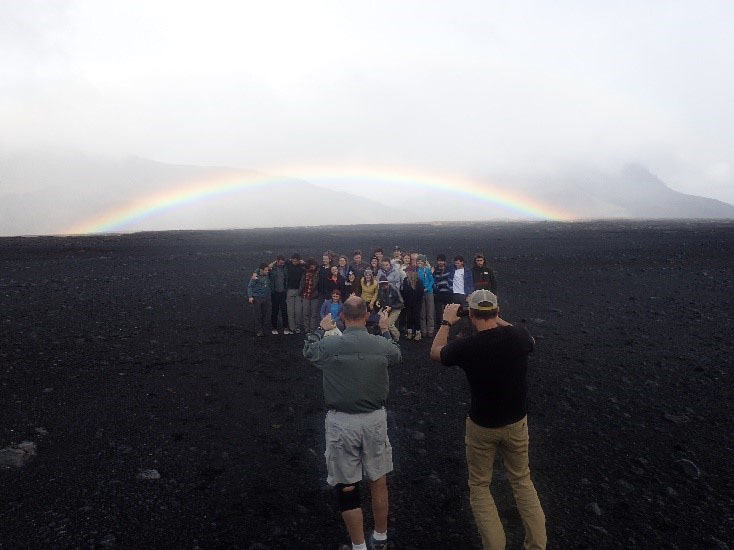 Here’s a peek at their experience. 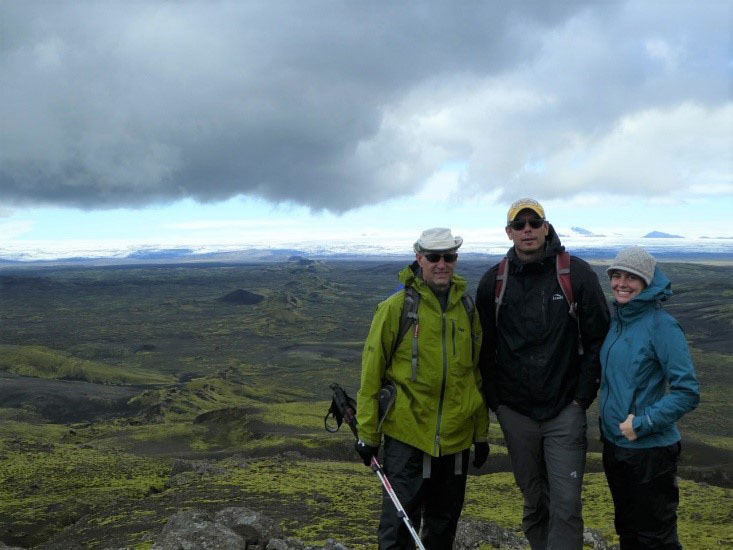 “We stopped for a group photo while driving through the remote, rugged Icelandic interior to visit the Askja Caldera,” Carley says. 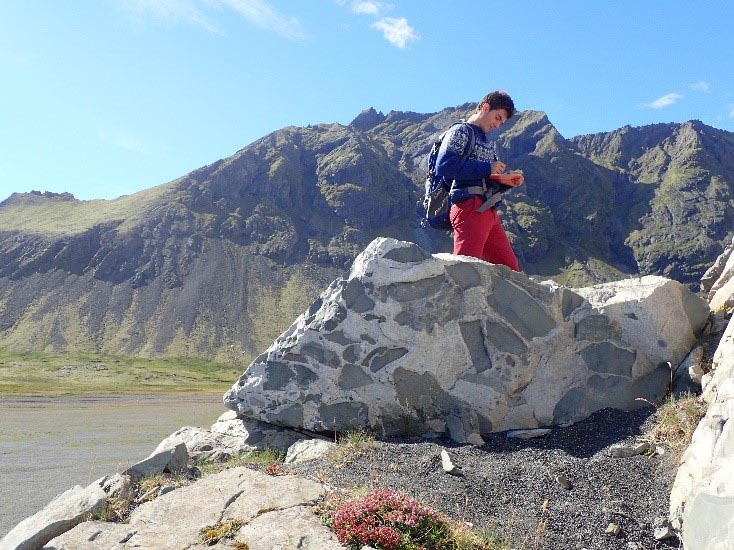 Malinconico lectures at the base of Eystrahorn, a steep mountain comprised of loose rock, where precious minerals, including gold, silver, and mercury, have been found. 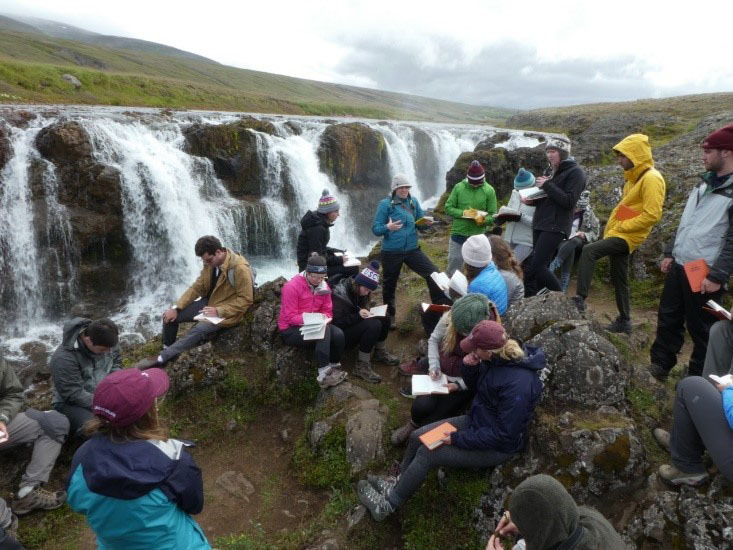 Carley leads a group discussion in which students identify geologic evidence preserved in the landscape and determine the sequence of events that created Kolugljúfur waterfall in northern Iceland. 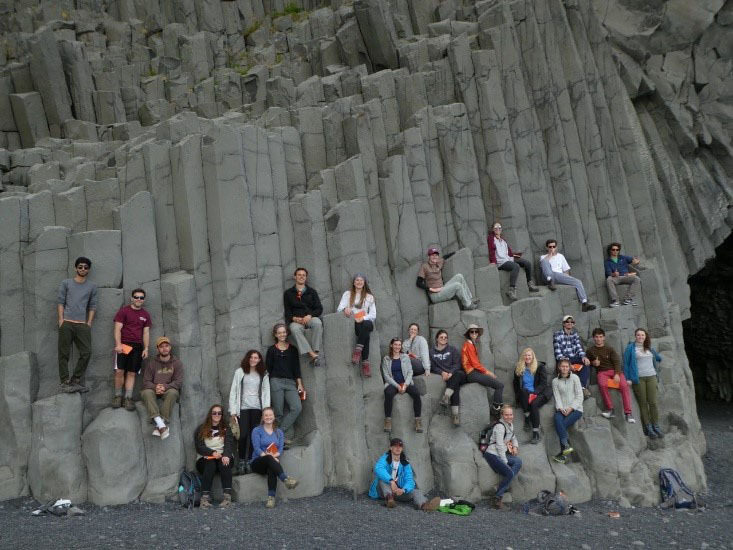 Students sit upon lava formations and columns that formed at Reynisfjara Black Sand Beach. 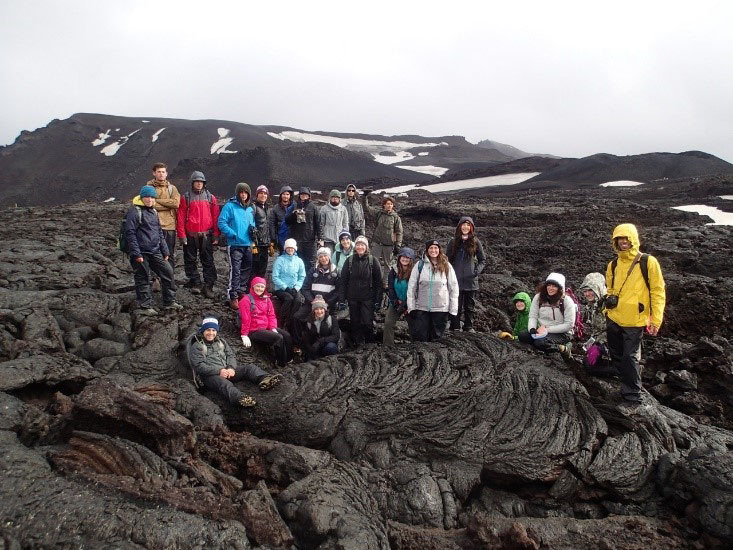 “These are big lava flows that cool like this,” Malinconico says. 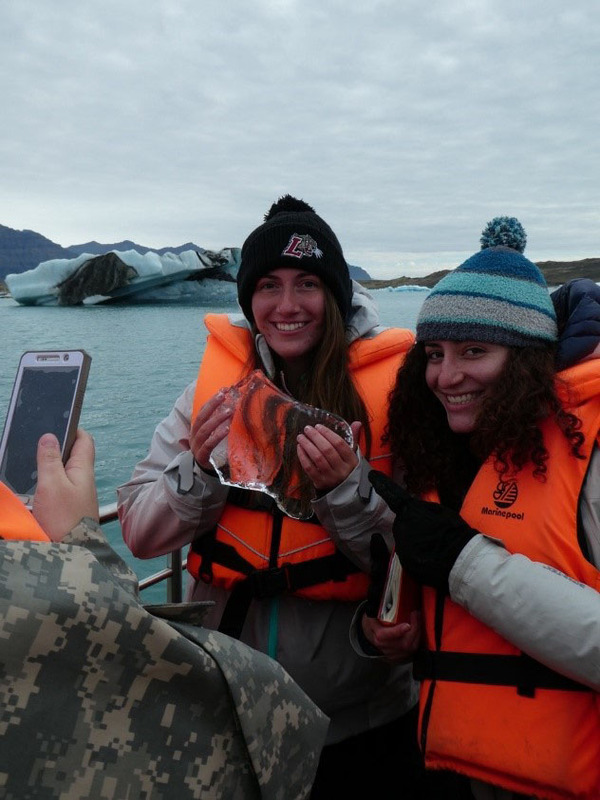 We have so many ways to get to know you, like individual interviews, campus tours, open houses, information sessions, Saturday visits, and more. 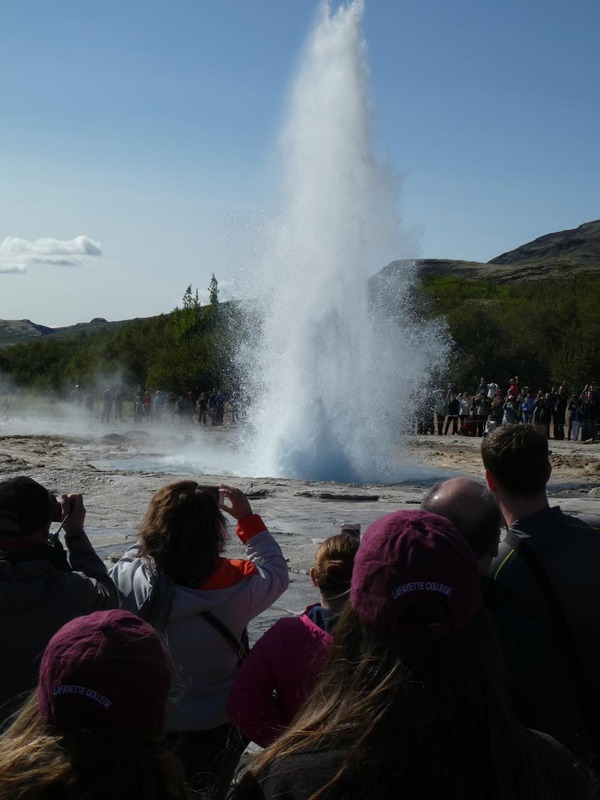 Here’s how you can visit us. The program offers the A.B. degree, the B.S. 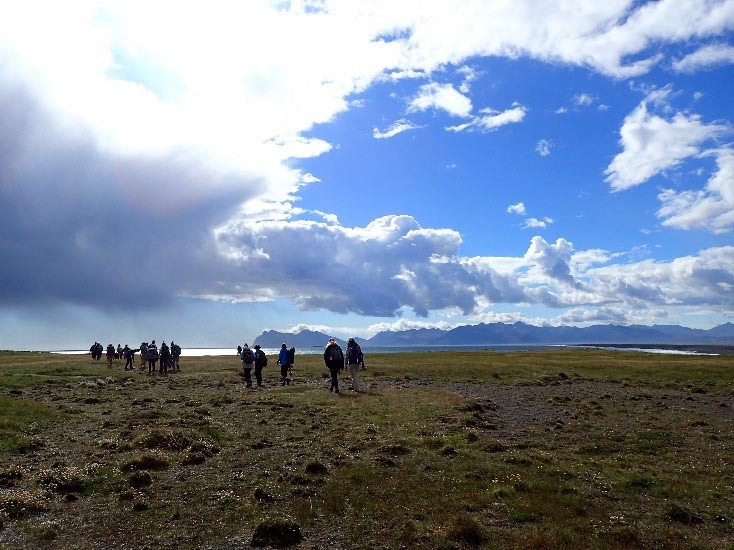 environmental track, and the B.S. 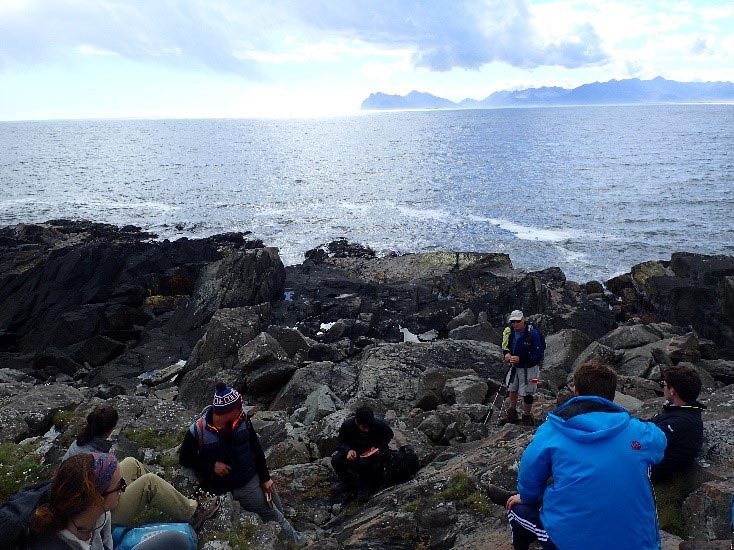 geology track. 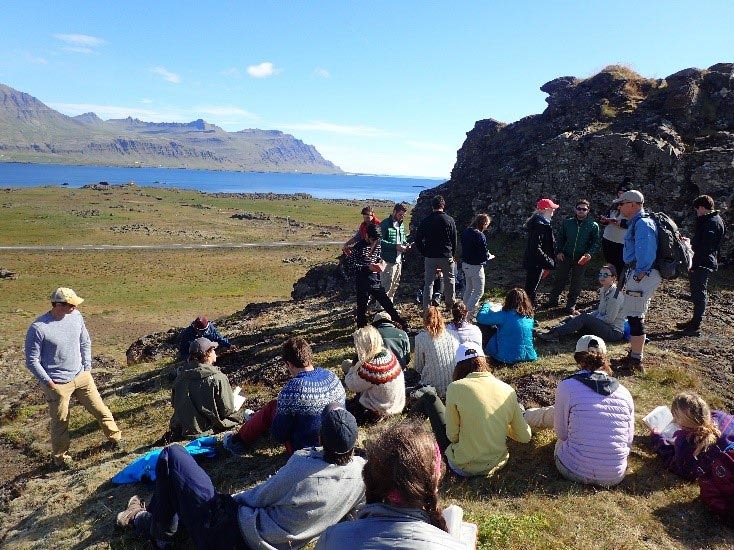 Each degree provides a broad background in the various disciplines of the geosciences. See what the program has to offer you.